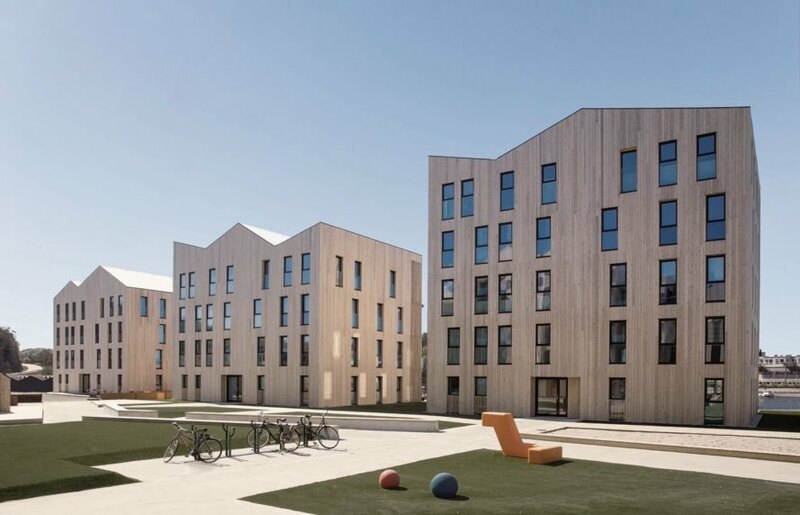 This striking timber housing development breathes new life into the former industrial area of Mandal at Norway’s southern tip. 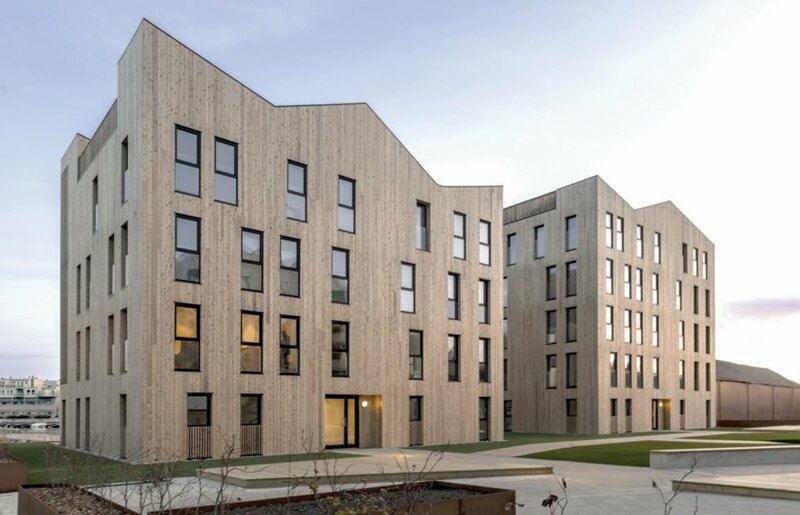 After five years of development, Reiulf Ramstad Arkitekter recently completed the Mandal Slipway Housing Complex, a residential project that combines contemporary timber construction with local vernacular building traditions. 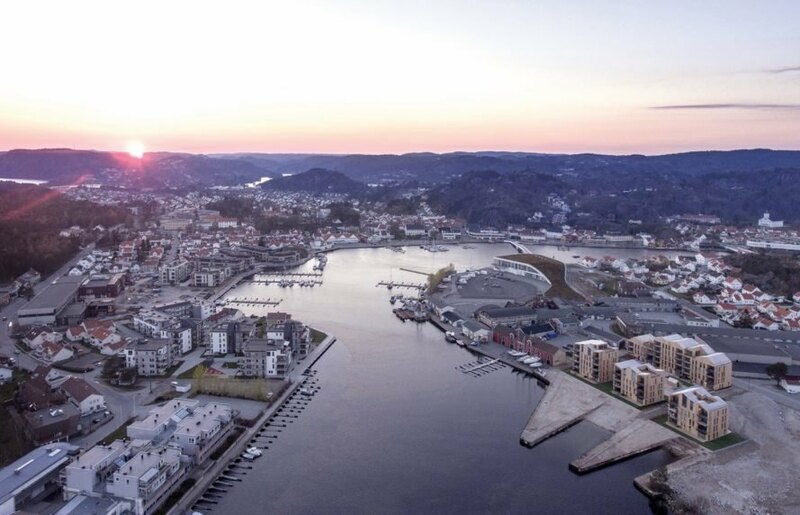 Located at the junction where the river meets the sea, the apartments are optimized for seaside views. Ample access to sunlight, views, and the outdoors drove the design decisions behind the Mandal Slipway Housing Complex. 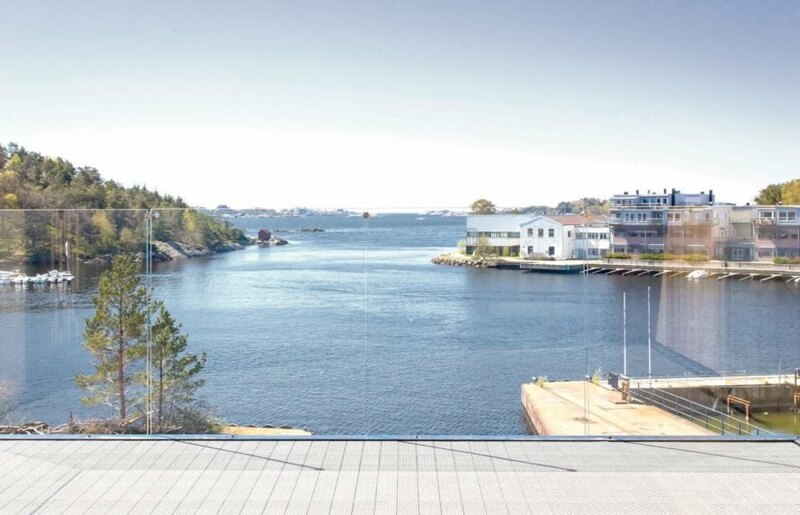 The project comprises four residential buildings organized around a common outdoor area. 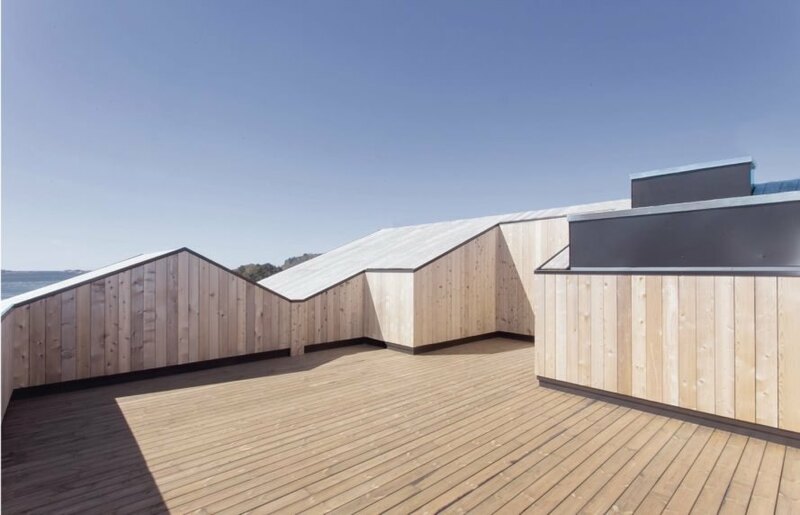 The zigzagging roofs that top the buildings echo the gabled profiles of the surrounding buildings. “Great emphasis has been placed on the relationship between the outdoor spaces and the shared building functions,” wrote the architects. 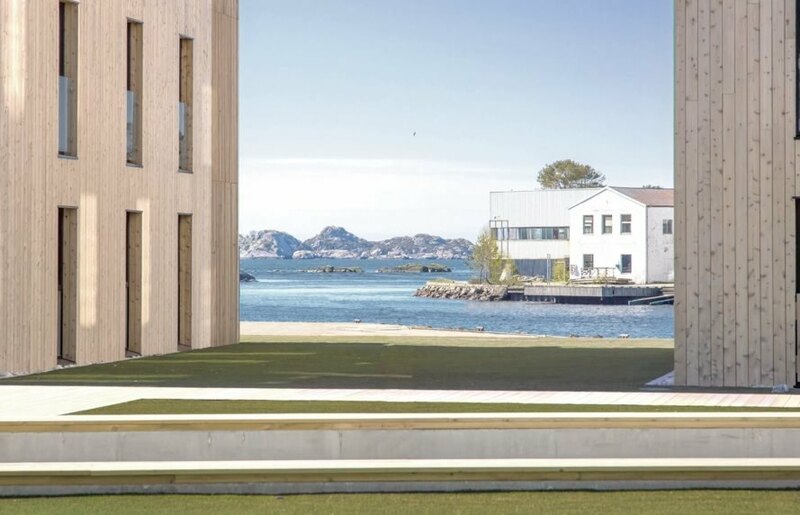 “All the apartment layouts are highly effective and well organized, placing great emphasis on the provision of daylight, open views and good flow between the indoor and outdoor facilities.” All external components, from the doors and window frames to the roof drainage pipes, are visually minimized to create a clean and minimalist appearance. Ample access to sunlight, views, and the outdoors drove the design decisions behind the Mandal Slipway Housing Complex. The project comprises four residential buildings organized around a common outdoor area. The zigzagging roofs that top the buildings echo the gabled profiles of the surrounding buildings. All external components, from the doors and window frames to the roof drainage pipes, are visually minimized to create a clean and minimalist appearance.